In the single largest transaction in sports history, UFC has officially been sold—the papers were signed on Saturday—for an incredible $4 billion. That’s quite the profit for casino magnates Frank and Lorenzo Fertitta, who in 2000 bought the struggling league for just $2 million. 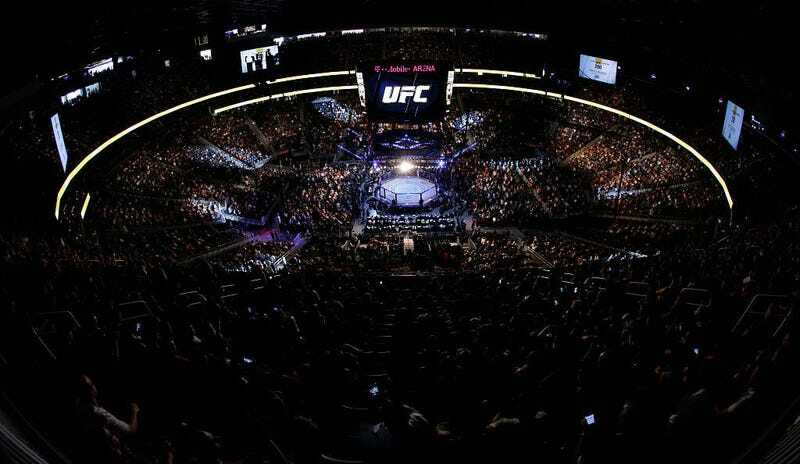 But the sport has found itself solidly mainstream in recent years, and assuredly profitable—Lorenzo Fertitta claimed UFC’s revenues were around $600 million in 2015, and the company’s practices are decidedly not labor-friendly. The very last hurdle, though mostly symbolic, was the overturning of New York State’s 21-year-old ban on mixed marital arts in March. The new majority owner will be the WME-IMG talent agency, and according to TMZ, that company’s head, Ari Emanuel, “will wield a lot of power over the organization.” Helping to finance the purchase is a group of private equity firms, including Silver Lake, Kohlberg Kravis Roberts, and MSD Capital. ESPN first reported in May that the sale was in its late stages. White, of course, denied that in as assholish a manner as possible.